Joel was born in Atlanta, GA where he was blessed to be raised in Christian family. He was saved at an early age and knew that one day God would lead him into ministry. Some time after graduating from high school, Joel started to have a passion for mission work. Having been on a few mission trips, he decided that foreign missions was the path toward which God was leading him. Joel has a strong love for music and singing in addition to teaching and preaching. It is his desire to be able to reach individuals with the wonderful message of love and grace shown by our Savior, Jesus Christ. Leah was also born and raised in a Christian home and has always had a heart for serving. She worked at various camps and ministries and at age 17 felt God call her to go to China for a shortterm ministry with her sister. After three months in China she fell in love with sharing the gospel with others who have never heard the Grace of God before. Soon after Joel and Leah met and married, they decided they would go to the mission field together sometime in the future. In the meantime they left Georgia and moved to Florida where they worked for two years at a Boys Ranch for troubled boys. Both their children, Enoch and Naomi, were born while in Florida. Enoch is two and Naomi is not yet a year old. In May 2017 the Sanders moved to Indianapolis so Joel could gain pastoral experience at Grace Church in Indianapolis while finishing a Certificate in Dispensational Studies from Berean Bible Institute. Every other weekend the Sanders preach and minister at Grace Gospel Church in Linton, IN. They are looking forward serving alongside the Kilgos in furthering the gospel of Jesus Christ overseas. Read the Sanders' March 2019 Newsletter. Click on Newsletter in the right sidebar. JOEL AND LEAH SANDERS have been reinstated as missionary candidates by the TCM Board. They are completing courses through Berean Bible Institute and will continue in the pastorate of Grace Gospel Church in Linton, IN through August 2019. In September they will begin 9 months of deputation before attending GTCM training in the Philippines in Summer 2020 and then going directly to join the Kilgos in their Southeast Asia ministry. JOEL AND LEAH SANDERS have decided to delay their missionary service, and the TCM Board has put them on leave-of-absence status for up to 3 years. 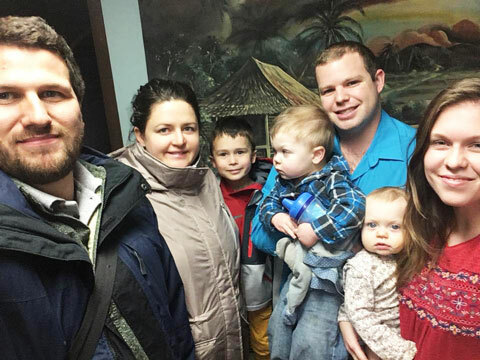 The Sanders were assigned as TCM missionaries to Southeast Asia and spent the month of May there, meeting with the Kilgos to explore potential ministries. During their visit, the Sanders discerned that this is not the time for their family to make a move overseas. They have two toddlers and are expecting their third child in November. After much prayer and time in the Word, they sensed the Lord confirming the decision to wait. 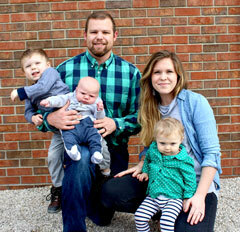 After attending the Southeast Asia Grace Conference in Thailand, the Sanders returned to the U.S. where Joel has accepted the pastorate at Grace Gospel Church in Linton, IN. Joel served part of his internship at that church last year. Joel and Leah are still enthusiastic about missions. 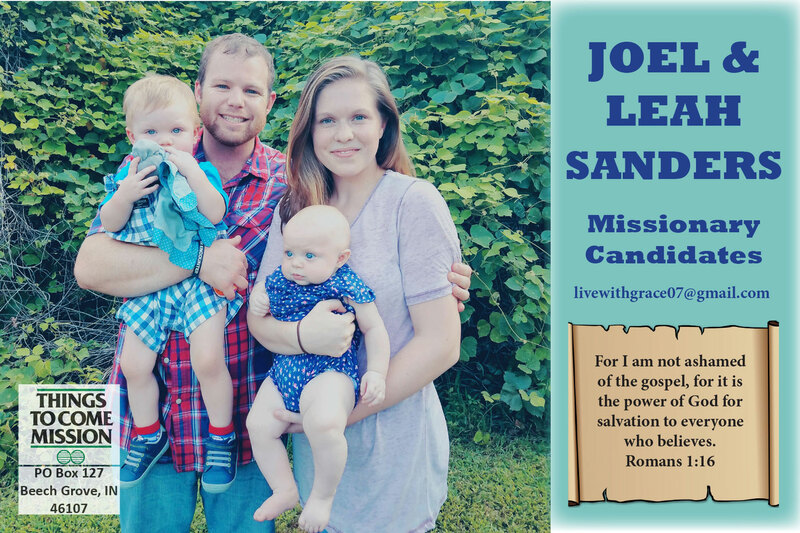 Pray the Sanders will be a blessing to the Linton church, and this will be a beneficial time to gain more ministry training and experience in preparation for future missionary service. Read the Sanders' newsletter by clicking on Newsletter in the right side bar. Things to Come Mission has the joy of announcing our newest missionary couple to you, Joel and Leah Sanders. Their process of becoming missionaries and raising support is a little different than most. Both Joel and Leah come from Georgia and from an early age were drawn to mission work. God led them to work on a boys ranch in Florida for a number of years, but feeling a burden to go overseas, came to live at the TCM headquarters to take further Bible training, be mentored by TCM’s Executive Director and be involved in two churches. This has given Joel additional experience in preaching and teaching the Word of God. They have two young children, Enoch and Naomi. In May of this year, TCM would like the Sanders’ family to visit their assigned field in Southeast Asia where they will work with Pat and Michelle Kilgo. They will also attend the Southeast Asia Grace Conference (SEAGC) to meet some of the TCM family from SEA. After the conference, they will travel to the Philippines where they will be attending the Grace Theological Center for Missions (GTCM) for two months. But Joel and Leah have not raised any of their monthly support as missionaries because of this summer schedule. Their deputation will begin in the fall in our Northwest churches. The costs of travel to the SEAGC as well as the GTCM training will cost around $6500. This trip is very important in further training them and acquainting them with the ministry they will begin in 2019. Would you like to be a part of this training for Joel and Leah? As the Lord prompts your heart, you can give a onetime gift for this summer ministry or you may decide to begin supporting them on a monthly basis. Either way, God will use you to help them see their field, get further training and then reach their field of service. The Sanders spent an afternoon at TCM headquarters with fellow Missionary Candidates, Robby & Tegwen Heath, discussing their vision for mission and life in the Philippines where Heaths spent a year of internship and where Sanders plan to attend GTCM in June-July 2018. Sanders also attended their first missionary conference sponsored byBerean Bible Institute in Wisconsin.